Hello and welcome to my blog, where I will be sharing pictures and info about my miniature painting work from past and present. I will also be presenting news about Claymore Castings, a miniatures company David Imrie and myself run, and another top secret project to be revealed! 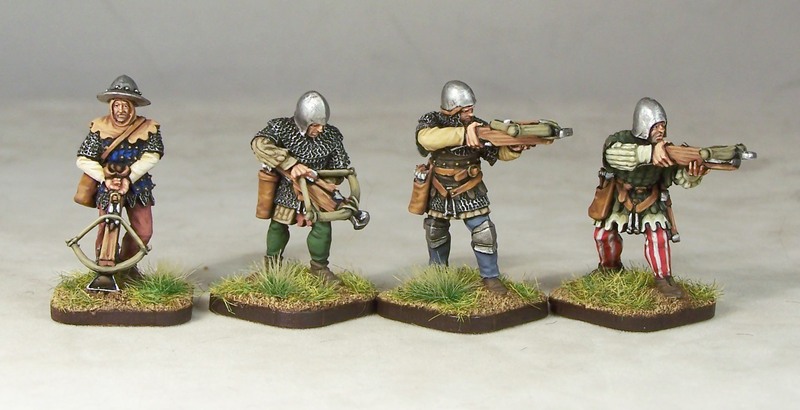 These are the crossbowmen from the latest Claymore Castings release, sculpted by Matthew Bickley. These are the first of the Crecy 100 Years War range. 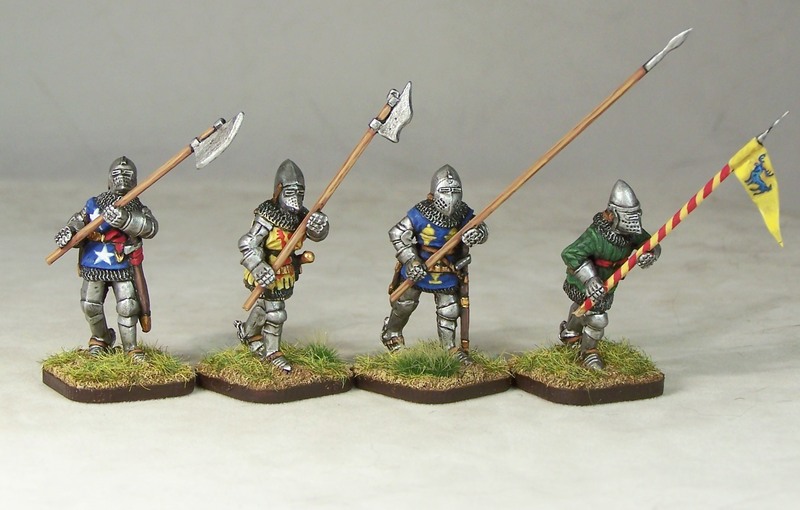 More knights/men at arms from the Otterburn range, sculpted by Paul Hicks. These are designed to be armed with either the usual pole arms, or long spears/pikes as some Scottish knights were armed when fighting in schiltron. I gave the one on the right a cut down lance as a makeshift spear, as some knights were armed when dismounted. You can find the Claymore Castings website here. More of my painting can be found here.